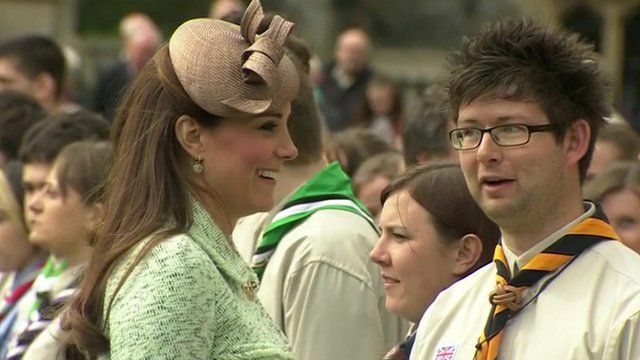 Duchess greets scout award winners Jump to media player The Duchess of Cambridge has honoured the achievements of more than 400 scouts at a ceremony at Windsor Castle. 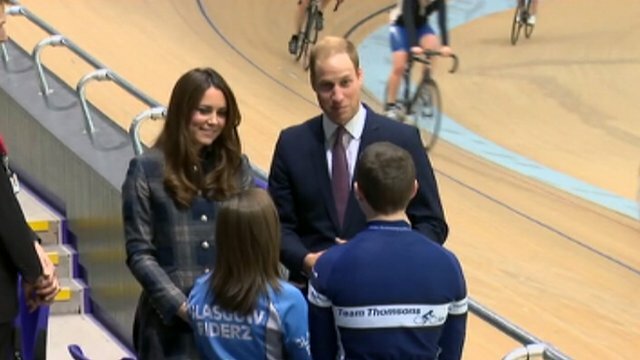 William and Kate arrive in Glasgow Jump to media player The Duke and Duchess of Cambridge arrive in Glasgow to visit the Emirates Arena. 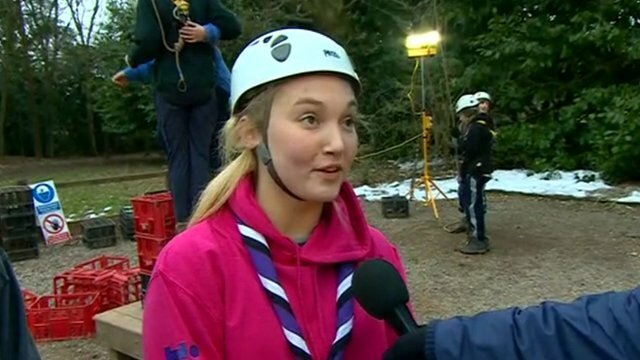 Appeal for scouting volunteers Jump to media player More adult volunteers are needed for the 35,000 young people currently waiting to join the scouting movement, which already has well over half a million members. 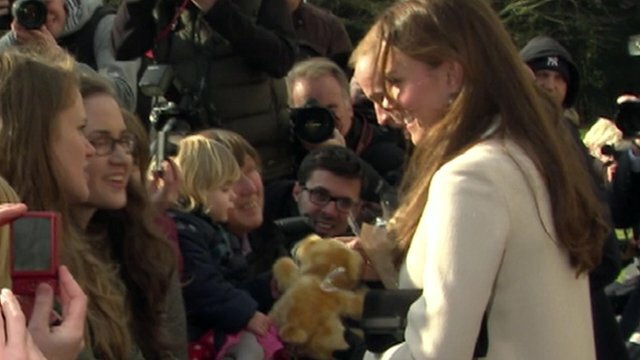 William and Kate given teddy bear Jump to media player On a visit to a bereavement charity, the Duke and Duchess of Cambridge were handed a teddy bear, which they said they would choose a name for. The Duchess of Cambridge has honoured the achievements of more than 400 scouts at Windsor Castle. Catherine, who is six months pregnant, attended the National Review of Queen's Scouts, followed by a service at St George's Chapel in Windsor. The duchess - a trained scout volunteer - also met youngsters who had received gallantry awards for their bravery.